Hi, my name is Julia Creech. In late 2004 I was trying to find a way to display my Marathon medals, without any luck. With the help of my brother, Mike McGarry, an industrial arts instructor the first medal holder was designed. Once people saw our product they asked if we could make one for their sport or activity thus the name Marathon Memories ‘n More. The idea of this blog is to discuss running, sports and health. I am a physical therapist assistant who works in both the acute setting of a hospital and the sub-acute setting. So, health is a very high priority in my life. I see every day how important taking care of oneself is to our overall quality of life. I’d like to start this out with a story of a true hero. Last Saturday my sister, Cindy Shrout ran her first half marathon. Cindy began having problems with her knees back in college. She had surgery to remove torn meniscus, the cartilage in your knees. In spite of this Cindy has persisted to be active. Cindy is a true backpacker having hiked 600 miles on the Pacific Crest Trail. However, running eluded her due to knee pain. 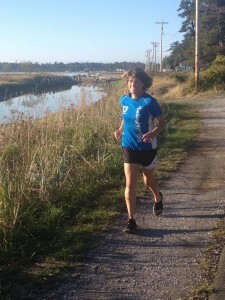 After going for physical therapy, she began working on strengthening her knees with the goal of running endurance races and triathlons. 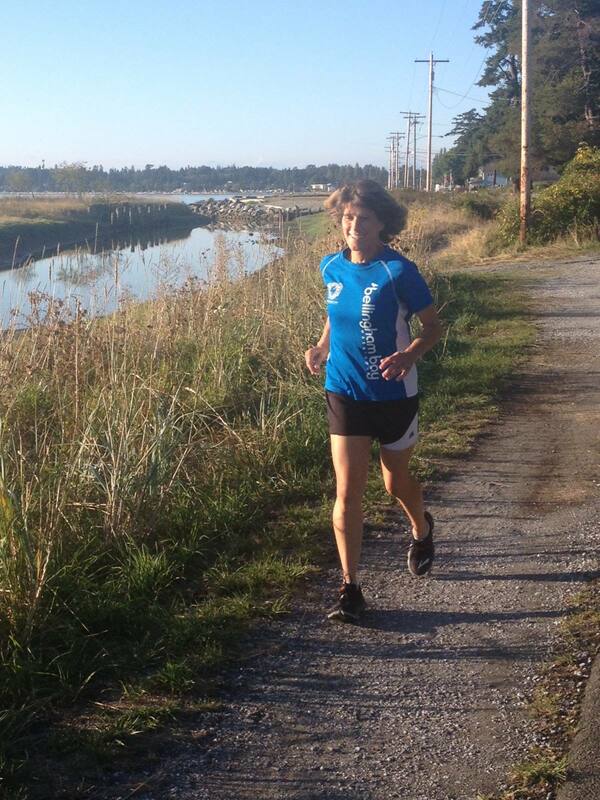 Running distant does not come easy for Cindy, yet she persists. I am currently out with some medical issues so was unable to run with Cindy as she prepared for this race. It was so exciting to hear how happy she was after completing her first 10 mile run. On Saturday, Cindy was ready to go, knowing her pace would probably put her last in this small race of less than 200 people. I was able to root Cindy on at different points throughout the race. She was solid throughout, never showing any signs that she would quit. After 3 hours and 34 minutes Cindy crossed the finish line to the cheers of all around her, even family including her adorable 1 1⁄2-year-old grandson who attempted to chase his Grandma across the finish line. We are all so proud of her. According to the dictionary, a hero is someone noted for feats of courage and strength. I want to encourage everyone who reads this to be their own “hero”. Face your challenges head-on. Nothing can stop a strong spirit. Do you have a personal hero or someone with a strong spirit that you would like to share? Let us know in the comments below.